This is the screen door my husband carved for me. It's such a bright spot, even in winter. 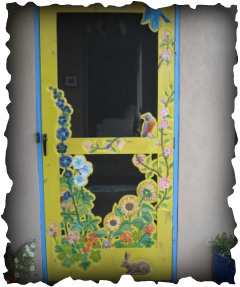 This door makes it feel like springtime all year round!